Josh wouldn’t mind us saying that he looks like the unfarmiest farmer we’ve ever seen, were ‘unfarmiest’ a word. Although he’s arrived direct from the dairy parlour, he looks more like a Premiership footballer, or a skateboarder, than he does a herdsman. “I get that a lot,” he says, as I check we’re interviewing the right person. “I’ve always cared about what I look like and what I wear. My older brother is the complete opposite – he walks around with his shirt buttons undone and his hairy chest billowing out. Part of the reason is the impending arrival of his first child in January 2019. Josh’s farming roots go back to his childhood where he grew up on a dairy farm in Hinstock. Although work on his parents’ farm was soaked up by other family, Josh helped out at a farm nearby. 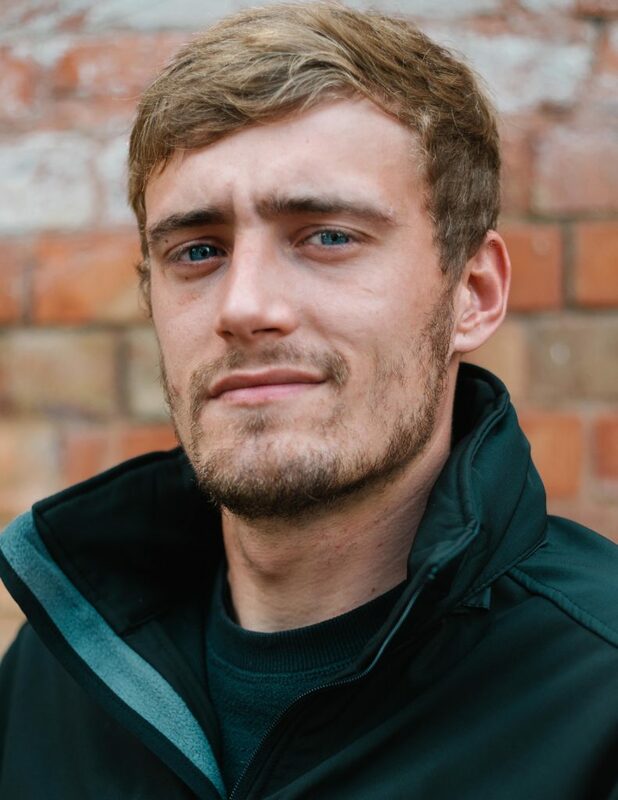 Josh joined the dairy team in July this year and although relatively new in post he’s settled in quickly. Josh’s role at Sansaw’s dairy includes milking and general cow health and welfare. But it appears that he has a soft spot for animals in general. “I’d like to breed dogs one day. I love the Italian bull mastiff – it’s called a Cane Corso – but we’ll have to wait and see how next year pans out with the baby. As for travelling abroad, like many young farmers do to gain experience, it’s not something Josh is too interested in yet.